Combining the best of traditional wisdom and modern nutrition, this first-ever Indigenous-led health retreat has had some breathtaking results. There is an epidemic of chronic disease facing our First People. Diabetes, heart disease, kidney failure and more paint a grim picture for the health and happiness of Indigenous Australians, with most having 17 years less life-expectancy than the rest of us. The tragic thing is that this is entirely preventable. Hope for Health has turned this tragedy into a story of hope. 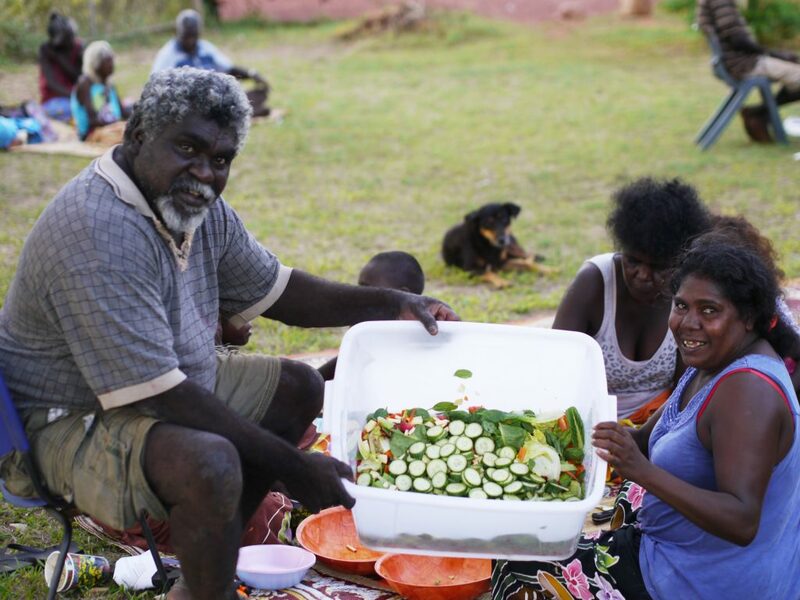 It’s a fully Yolgnu-directed health initiative, that at its core has the direct experience of healthy lifestyles and the traditional diet and wisdom of the Yonlgu people. This 10-day health retreat allowed people to directly experience health in a supportive environment, in their own language. Three months later, we are now seeing the results. A 32yo Male, we’ll call him Tom, had hypertension, high cholesterol, obesity and anxiety. His primary concerns were his high blood pressure and weight. During the retreat Tom exercised daily, attended tailored health consultations, nutrition and skill-based classes whilst experiencing how healthy food can also be delicious. But it wasn’t only these 10 days that transformed his body and his life. In the three months since the retreat finished, Tom has shown tremendous dedication to his health with continued exercise, and ‘manymak ngatha’ (healthy food) choices. Tom is already experiencing a new lease on life with increased vitality and energy. Consequently, Tom is less stressed, has a clearer mind and less anxiety. The long term benefits of these changes cannot be understated – he has drastically reduced his risk of diabetes, heart disease and kidney disease – the three biggest killers in Indigenous communities. While the progress continues, the Hope For Health program offers ongoing support to facilitate sustainable health outcomes for Tom and the other participants. This couldn’t have happened without lots of support – Thanks to the Why Warriors project teams, One Health Organisation, Metagenics and all the people who have donated a little or a lot to make this dream come true.